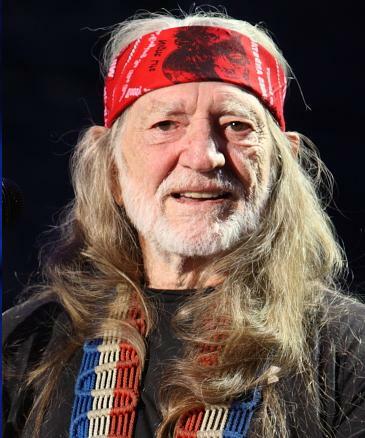 American Country Musician and actor known for roles in Barbarosa, Stagecoach, Thief, Wag the Dog and Half-Baked.In 1993 Miami Herald it mentioned his height, saying "Willie Nelson, on his just-a-shade-under-5-foot-6 height: - 'I'm taller than Bob Dylan and Paul Simon. Of course, they don't wear cowboy boots. I'm also taller than Ross Perot as long as I don't cut my hair'"
My brother has just been watching a programme which didn't exactly float my boat, but I did notice Willie Nelson - with his hair in two plaits! Let me tell you, that it is a mighty comfortable hairstyle, especially in this boiling hot weather! Willie seemed a really ace guy! He can have 5ft5 and seven-eighths! Great guy, smallish in stature with a giant talent ...wish I could meet him one day, well, I can dream can't I. He looks very short in Electric Horseman. Robert Redford looks small in that movie too. WN is a few inches shorter than RR in it. Rob would he measure in 5ft 4-5 range now he is in his 80s? Richard Keil, who was at least seven feet tall, was a bouncer. So was Clint Walker, at six foot-six. You look like those gents and you can bounce belligerent people with a kind word and a big grin, which is so much more efficient than showing them your certificate from the dojo, wouldn't you say? I have met people who have met Willie, and they all say what a friendly, humble man he is, so I'm just saying that bar-bouncing was probably not a vocation suggested to him by his high school guidance counsellor. Willie is an expert martial artist, with black belts in a variety of catagories, this would surely make him a good bouncer in spite of his height. According to Wikipedia, young Willie once worked as a bouncer in a bar. What? At five-foot-eight? Must have had a lot of natural authority. He looked pretty much a head shorter than Johnny Cash if Cash stood up straight and, despite his claim, is edged out by Bob Dylan (although not hugely). This listing is a good fit. 5'4"...i met him while he was in Nelson filming a movie, my sister in law was his personal valet at the hotel he stayed at. We stood back to back, without our boots on...we are exactly the same height! Check out his recent mugshot "willie looks haggered is the caption" he appears to be n only 5 04 ..
[Editor Rob: he's listed as a shade under 5ft 6 or 5ft 5.75, not 5ft 7. Whomever puts Willie at 5'7 1/2" is a fool! Willie Nelson is NO more than 5'4" to 5'5" my wife is 5'5" we were in the Airport with Willie he had on boots my wife had on flats and they looked to be identical height wise! He's about 5ft 3 and a half these days according to his mugshot photo Click Here Probably right considering he's 77. He was arrested a few days ago for setting fire to a plant and inhaling the smoke wot came off it. Those markers again are two inches not one, same with Armie Hammer. The mugshot shows him at 5'7" in probably standard boots which give 1-1.5 inches. 5'5.75" looks spot on, he is in fact about 5'6". Lol at 5ft 6in or even 5ft 5in! Back in the 80's I met Wille here in nashville in an elevator at the mall with my sister with me. I'm 5ft 10in barefoot and I had on very low soul tennis shoes that made me say 5ft 10 and a half. My sister is 5ft 4in and she and Willie were the same height and he had cowboy boots on! I towered over him looking down at the top of his head. he's no more than 5ft 3in max barefoot. I know I met him and talked awhile, he's a very nice, humble guy. He's 5'4 in the morning today. he probably lost some height since he is 77.
sam-thats possible.by a half inch at most.or the same in height.one thing is certain.willie isnt taller than dylan. Looks 5'7" in boots, 5'6" barefoot slightly under, the man is clearly telling the honest truth. Glenn, do you think Bob Dylan is a bit taller than Willie? yes,on most album covers he wears sneakers.brad is right.he is a sneaker man.with occasional boots. Just in concert in regulars, red carpets in dress, Marty Stuart to bed. the more i think about it,i do see pics of him in sneakers.maybe cause i always catch him at events? but is boots for a 5-6 country guy a surprise? sneakers is possible.i always seem to catch him in boots.5-6 is correct leonari. Willie in boots? I've seen him in sneakers lots of times. Glenn: so he is taller than 5'6"?? im only a half inch taller and he is in boots.doesnt add up. This time it's a question of dueling cowboy hats. Willie still looks the shorter of the two despite his claim above. I saw a picture of Willie Nelson and 5'7" George Jones(NOT TOM JONES!!! )and they appeared to be about the same height. Although I saw him stand next to 6'1.5" Johnny Cash and he appeared to be 5'9" in the highway men. Also just a comment on Editor Rob you are a funny feller!!! In his biography he says 5'7" but I think 5'6" is more accurate. Short guy but one of the best musicians ever. That height is correct.great guy.in fact,known to be maybe in the top 3 best.